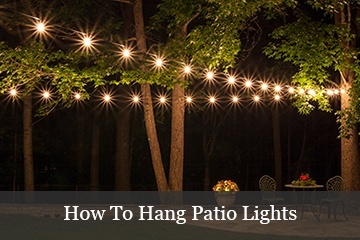 Go beyond the ordinary and learn 3 ways to use rope light in your next outdoor DIY project. 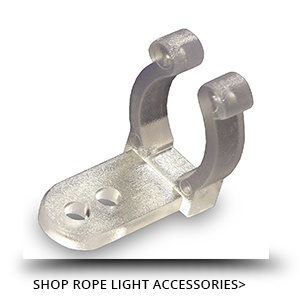 Rope light is often used for indoor lighting under cabinets and as recessed lighting in bedrooms. 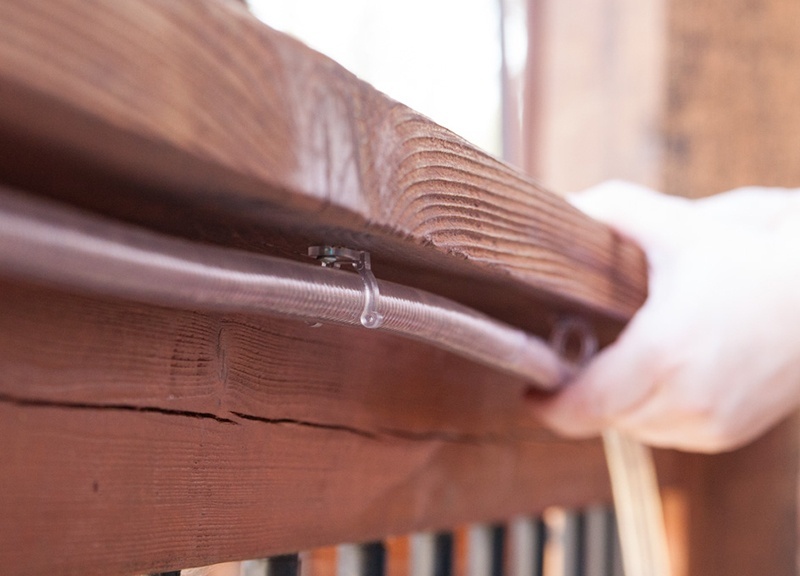 However, it also lives a secret life as a more versatile option for outdoor lighting than traditional solar powered stakes or standard up lighting. 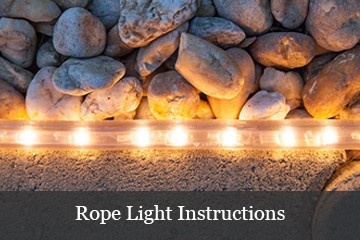 Instead of pinpointing one single focal point as with traditional landscape lights, rope light casts a wide glow across larger spaces. Additionally, if you are using white rope light the clear tubing is better able to blend in with surroundings when not in use. 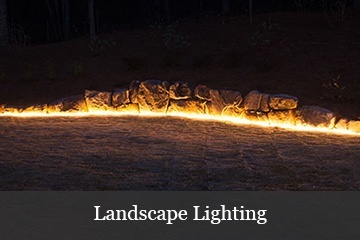 Highlight contours, edges, pathways, decks and patios - all with the help of this humble outdoor lighting option! Start by measuring the space. 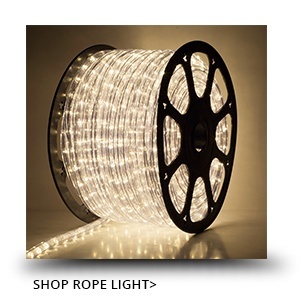 150' rope light spools are best for outdoor landscaping as they allow plenty of length to be covered and can be spliced for complete customization. Plus, any leftover can be used in other lighting projects! 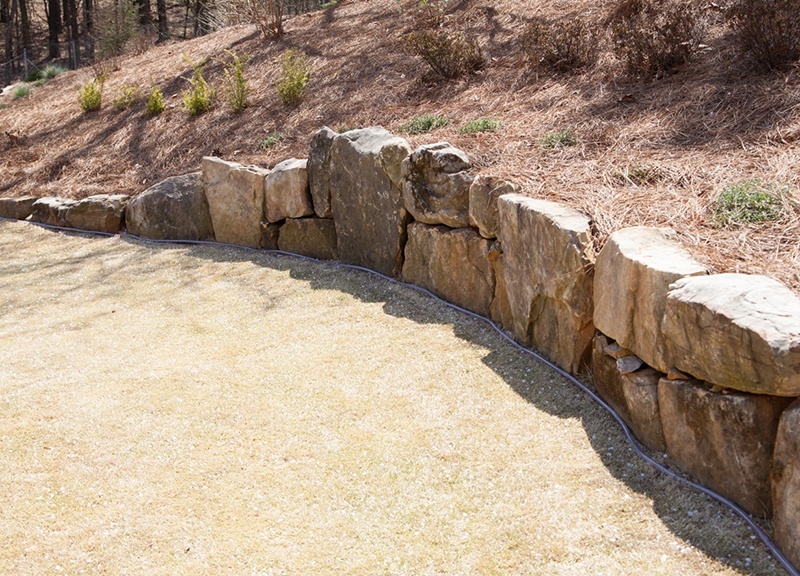 Pick a color that suits your style and will complement your landscape. 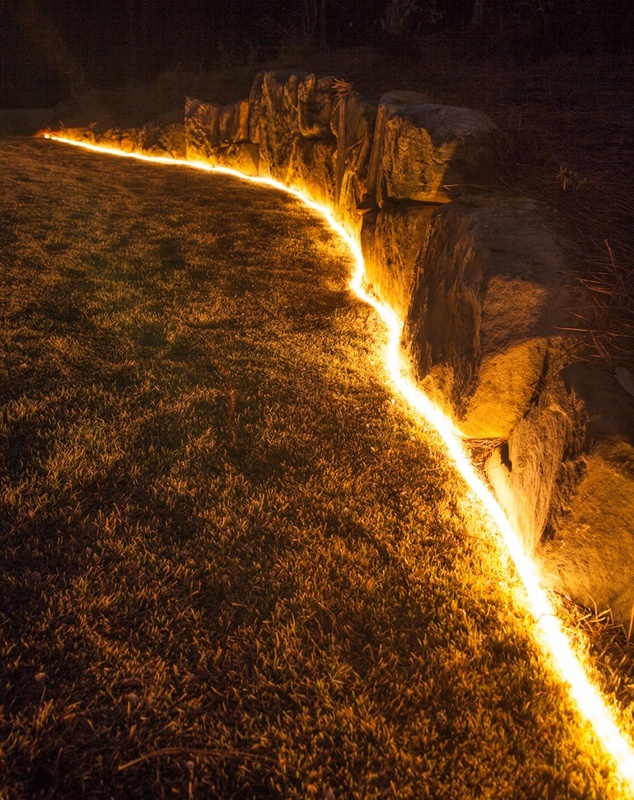 Rope light is available in a full spectrum of hues, including LED options, so finding the perfect shade for your landscape should be easy! 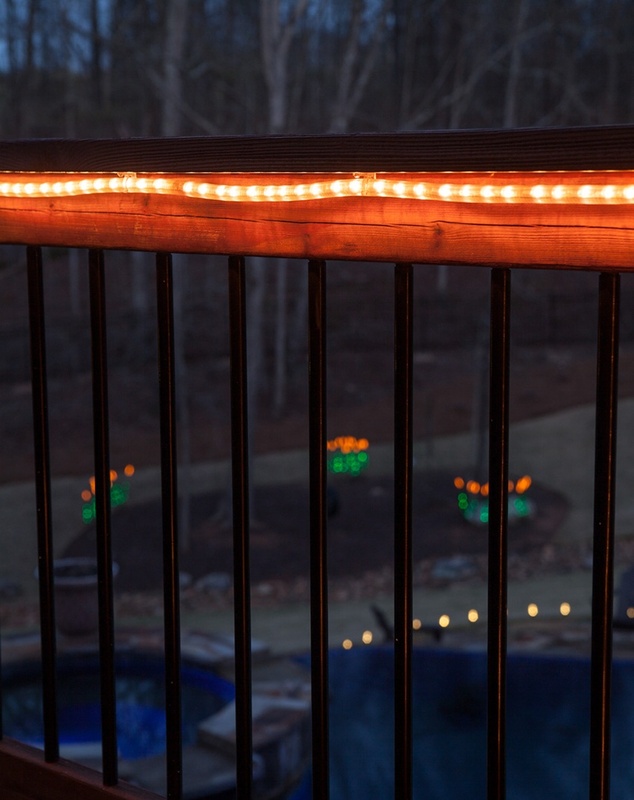 For the projects below we used clear incandescent rope light. Sometimes measurements can be off. 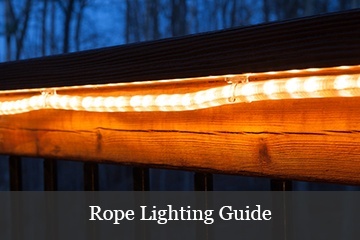 To prevent light runs that are too short or too long, we suggest leaving your rope light on the spool until you have it securely in place using one of the methods below. Then, once your light is exactly as you want it, you can cut it from the spool and then connect your power cord. Lay your rope light down and make adjustments as needed until you have it positioned where you want it. 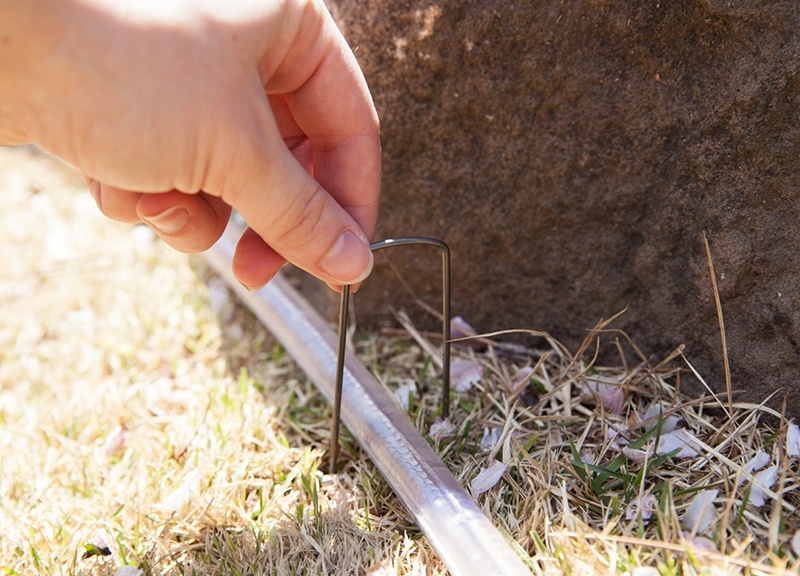 Then, Insert your first garden staple at the end opposite the spool. 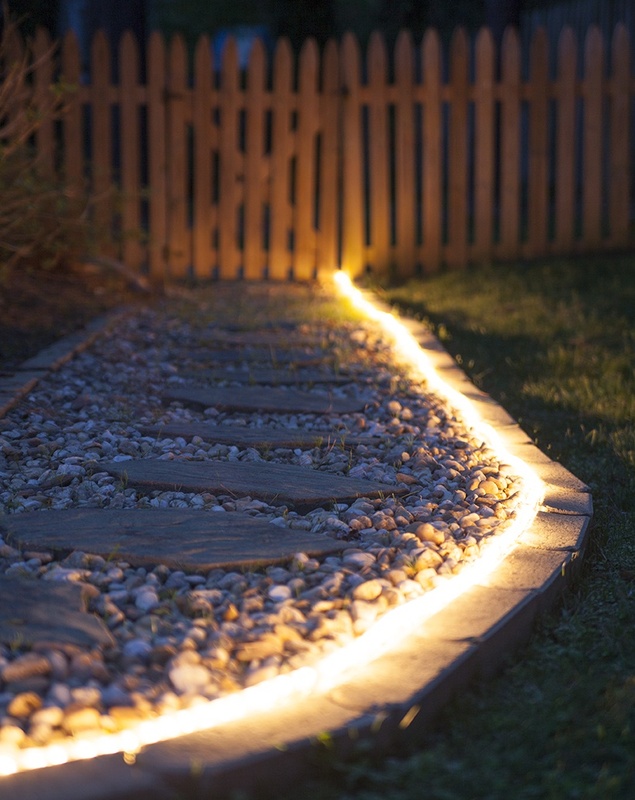 If you are lighting a straight path you can space staples further apart, however if the path is curved you may want to use extra anchors to keep everything in place. 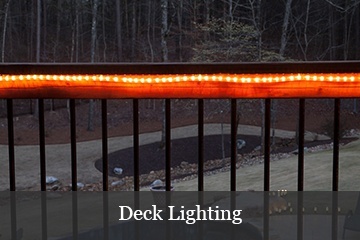 We chose to use screw in mounting clips for our deck lights. 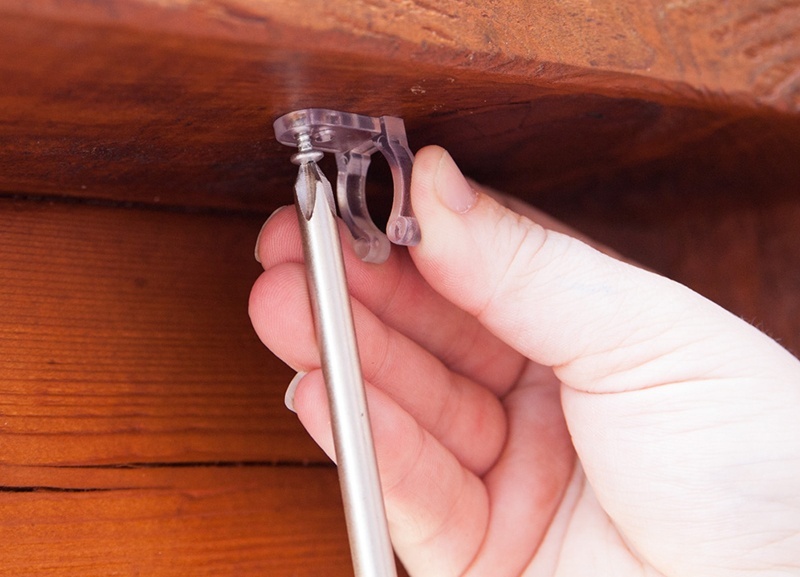 These sturdy clips hide beneath the deck and are great for long term outdoor use. 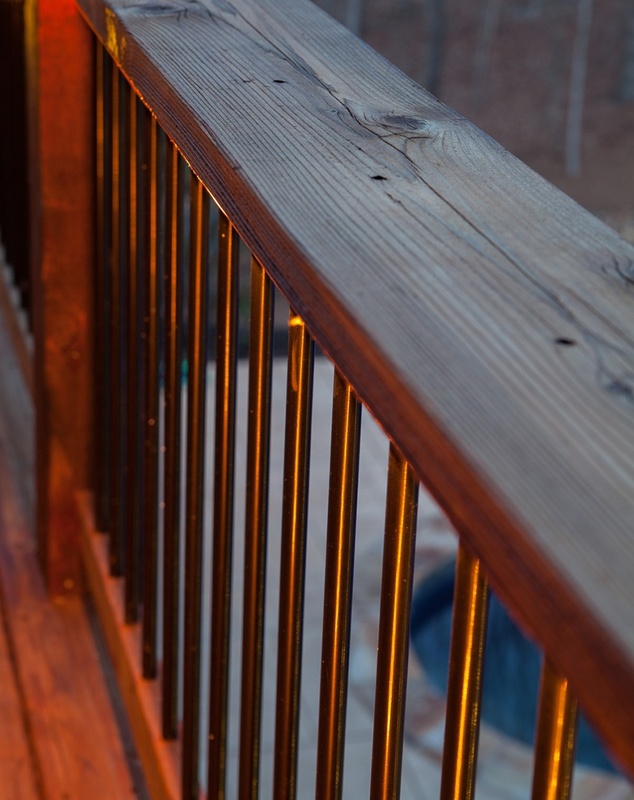 We decided to use the deck posts as a measuring tool and placed a clip at every third pole. However, you could also measure your deck and use a pencil or chalk to mark the locations where you plan to place your clips. 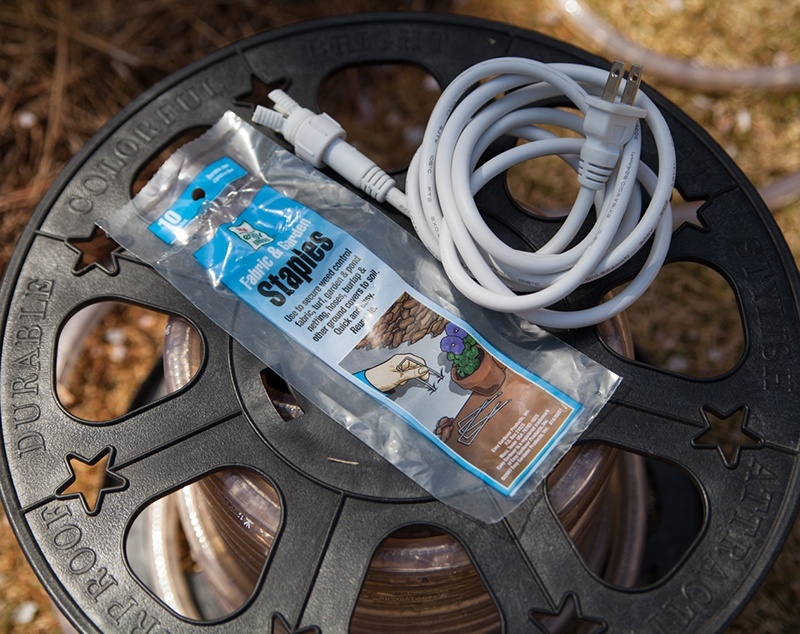 After completing the installation, you can splice the rope light from the spool, then add a power cord to one end and an end cap to the other. 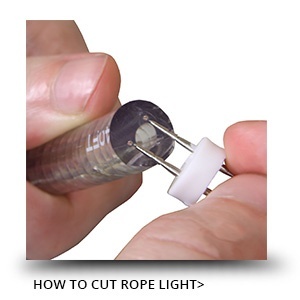 Visit our rope light guide for detailed instructions on how to cut rope light. 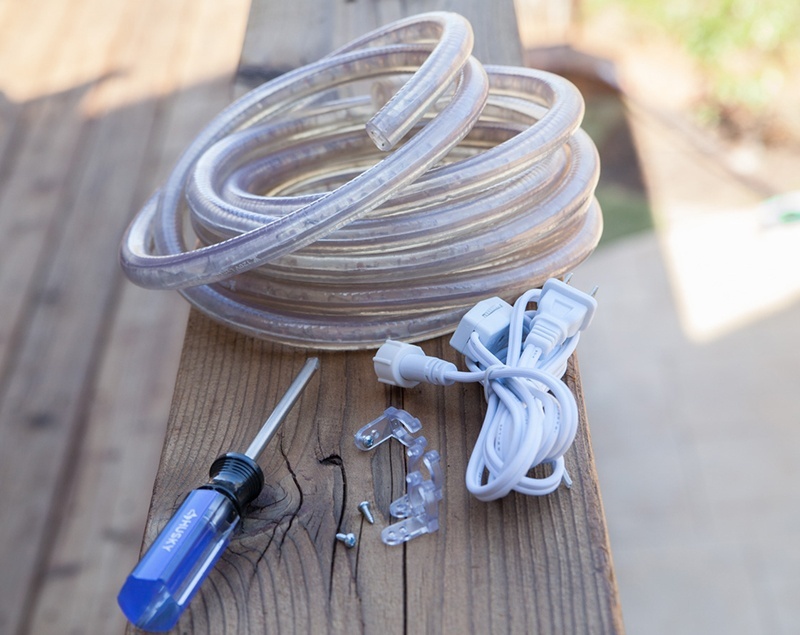 After your rope light is connected to a power cord and the end cap is in place, go ahead and plug your power cord in to check that it is working properly. 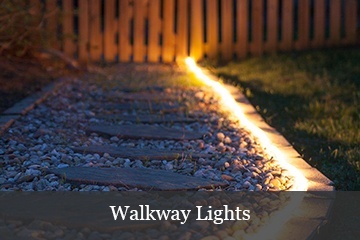 When night time arrives you're ready to enjoy a beautifully illuminated walkway or landscape!